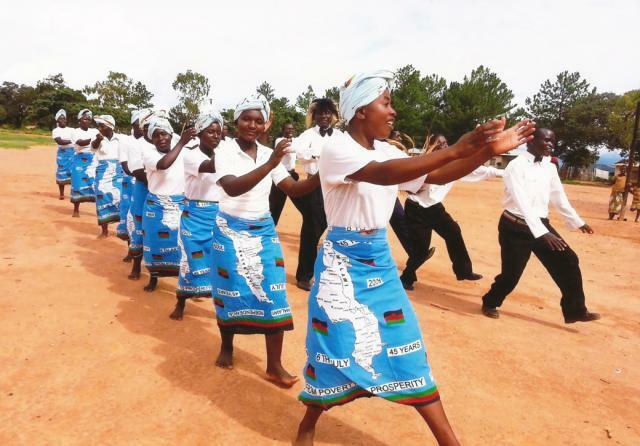 Mwinoghe is an instrumental dance performed in three ethnic communities in northern Malawi. In the Chisukwa dialect, Mwinoghe literally means Let us enjoy ourselves': the dance therefore expresses joy and happiness. Dancers line up in two rows (men on one side, women on the other), and perform twisting body and elaborate foot movements to the sound of three drums, a whistle and the group leader's commands. People from all walks of life gather to watch the dance, which is performed at social gatherings and on days of national significance. Authors and personalities: Kapoka Mwinoghe Dance Troupe, performer. Production: Tiwale Photographics and Communication, Malawi, producer.Malawi National Commission for UNESCO, sponsor.